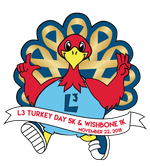 The L3 Foundation helps children who are fighting childhood cancer and their families, and funds research to find a cure. 100% of every donation goes to research or helping families in need. We appreciate your support.